In 2013 Cheryl Ramsey and Carol Murphy became friends and, as only God can do, our friendship flourished quickly and was grounded on two things…our love for Him and our love for photography. 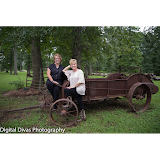 In 2015 we, after much praying and discussion, decided to start a photography business reaching Carbondale, Carterville, Herrin, Marion and areas in Southern Illinois close to our home base in Carterville. Our passion for photography started many years before we even met…taking pictures of our family, friends, weddings, seniors or anything in front of our cameras. Now, as partners, we want to share our passion with clients that want the important moments in their lives to be captured. Since our beginning we have broadened our knowledge about the photography business by taking classes in St Louis, MO, going to Photography Conferences, like ShutterFest and gleaning expertise from professionals who have been in the business for many years. Even though we have an indoor studio, our outdoor studio is unlike anything in the Southern Illinois area. There are many settings from which to choose…from a rustic storefront with porch to a rusting body of a 1936 Chevrolet.